Why adopt corn-based ready-to-use food supplements? To scale-up the prevention and treatment of acute malnutrition with cost-controlled programs. 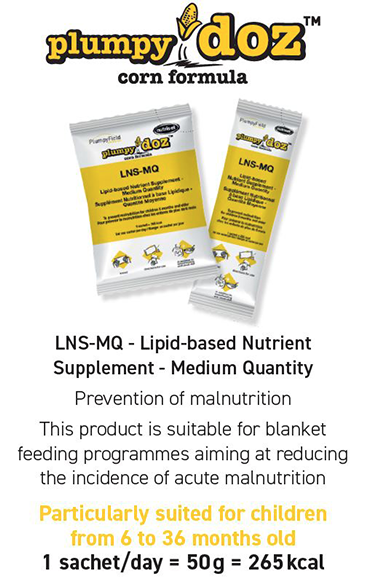 Nutriset is committed to supplying products of the highest quality at the best price without compromising on quality and always fully complying with international specifications. To reinforce program impact by fitting into local eating habits where corn is part of the staple diet. Currently, corn alone accounts for over 20% of total calories in human diets in 21 low-income countries. This figure rises to 30% in 12 countries representing 310 million people. To promote local production with local raw materials and help improve in-country supply chain. Since corn is a widely cultivated crop, the adoption of corn-based food supplements in programmatic countries helps support local producers, such as Nutriset partners in the PlumpyField® network. Two acceptability studies comparing Plumpy’Sup™ corn formula to Plumpy’Sup™ (peanut formula) have been done. Malawi, 2018: Study among 40 children from 12 to 23 months old with moderate acute malnutrition and their mothers. Kenya, 2018: Study among 153 children from 12 to 24 months old and their mothers in rural areas of Kajiado highly vulnerable to food insecurity. In both studies, the two food supplements were observed to have the same good acceptability rating. 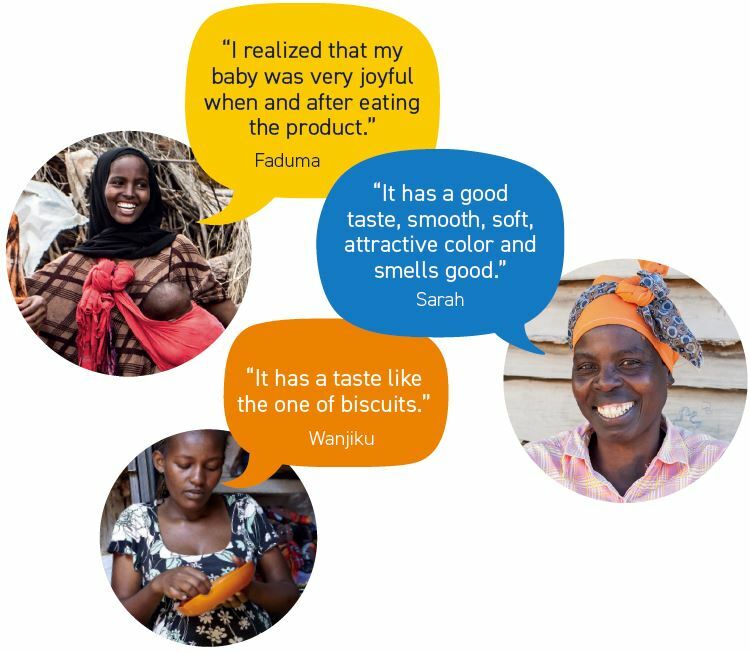 What do mothers think about corn-based products? 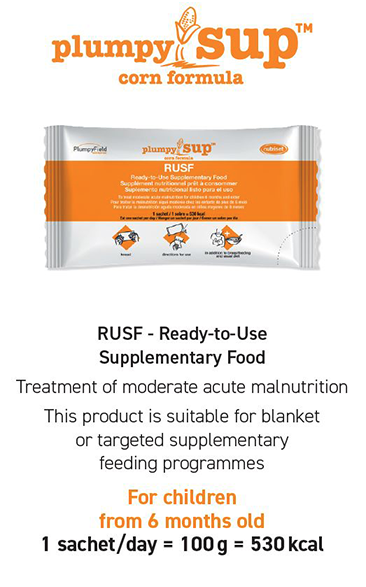 Plumpy’SupTM corn formula and Plumpy’DozTM corn formula are supplements to breastfeeding and the usual diet.